As a wife and mother, and someone with a passion for capturing moments, I've come to find that each moment is beautiful and fleeting. These moments, especially with our lovers and little ones, are worth the world. I specialize in capturing these moments and creating heirlooms for you and your family to cherish for lifetimes to come. Imagine being in your 90s, sitting down with your love, looking through the intimate couples portraits you had done together years before; just reminiscing together, or showing your grown children the love and connection you share. Imagine looking back on your boudoir photos and experiencing the empowerment all over again, or leaving those photos for your future generations to see your strength and beauty, and connect with it. Imagine your children and grandchildren finding a beautiful box of family photos or a family album years from now. Remember how you felt as a child looking through your parent's aged family photos? I encourage you to print, and print on archival materials; and being a full service photography boutique, we can do that for you. Today's moments are tomorrow's precious memories. Think of tangible prints and products as love letters to your family, to your lover, and to yourself. I do. & Print Release for only $900. 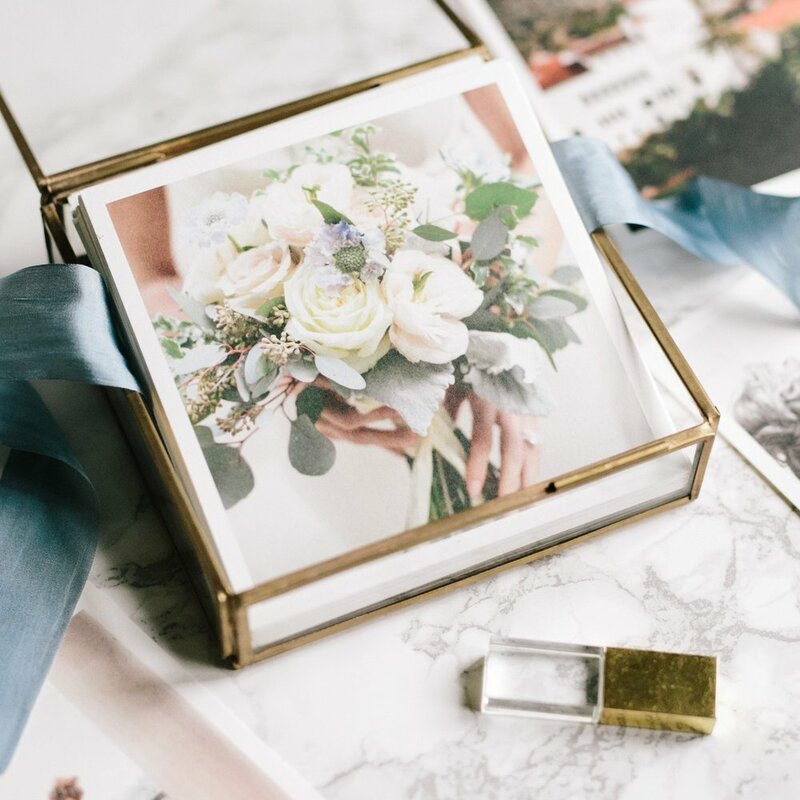 Showcasing your images at 6x8 on gorgeous 8x10 Fine Art, Deckled Edge, Cotton Rag paper; and presented in our 8x10 Glass Luxe Image Box! Print Release for only $900 with 25 print folio. Print Release for only $900 with 10x10 or larger. *Upgrade to Fine Art prints available for 5x7. *Half price with select album or collection. *Box GIFTED with purchase of 25+ prints. •Click here to see our Birth Stories and Birth Collections! •All clients receive a pre-session consultation, their photo session, a viewing & ordering session, and then an online gallery with the corresponding web-optimized digitals (great for online and social media sharing) to the images they purchased. •Moments In Motion come in one of two forms- videos clips, or a series of consecutive photos creating a stop motion clip. •Return clients become Loyalty Members and receive a 10% discount on sessions and products. •Ask about our Client Membership Program that opens once a year, and our referral program! *All images are fully retouched. Additional edits may be requested, and are subject to a fee of $25 per image. *For additional pricing and information on elopements, weddings, other events or collections; to book our hair and makeup artist for your session or special day; or for custom wall art collections, please contact us. *Upgrade Glass Luxe Elopement Set to Fine Art Prints for an additional $1000 (totaling $4150), available for 5x7 only. *Etching may be added to Glass Luxe Image Boxes for an additional $99. *Sales tax will be added to products, collections, and session fees. *Yes, we offer payment plans! Contact us for more details!